Spots are limited and will fill fast. Reserve your spot today! So what's a retreat with Kiran like? Stepping outside of your everyday experience and into a beautifully-held container can be very conducive to your personal transformation and personal awakening. While immersed in this deeply nurturing environment, Kiran will lead life-changing teachings to let go of the old patterns, making self-realization your new way of being. A container of 7 days to soak in the energy and transference of a profoundly clear teacher. That's the beauty of retreat – it provides us with a container to be seen and witnessed, while finding our own access to source and peace. 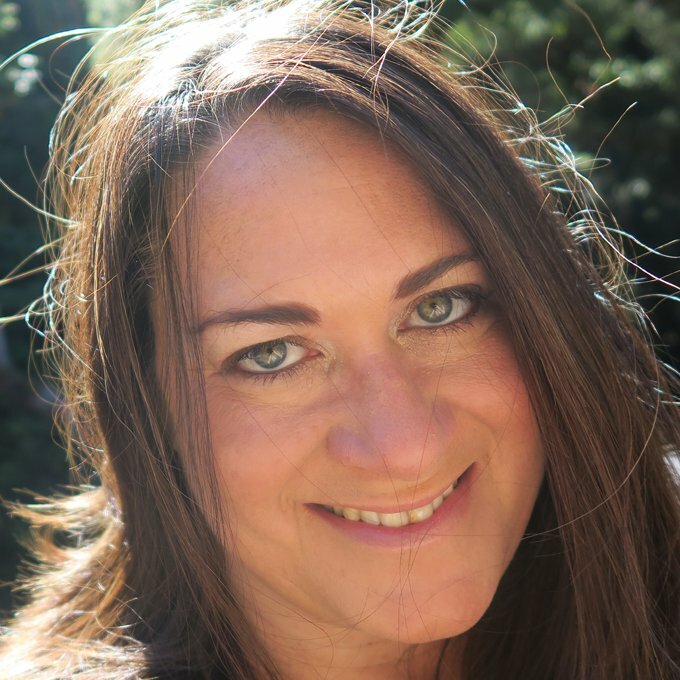 "Having been on numerous retreats with many awake teachers, I can honestly say Kiran brings something so unique and rare. My life is changed forever." —B.T. Support to navigate through some of your toughest areas of pain, whether you're stuck in meditation practice or in your healing process. On retreat, Kiran helps you to identify and move through even your most resistant patterns of suffering. With her incredible clarity into the inner workings of the human psyche, anyone who joins her on retreat experiences miraculous results in a very short time. “Kiran leads people through the trickiest, sneakiest and scariest bits of our healing.” —A.S. Retreat is an opportunity to face that pain with expert guidance and an intelligent set of practices. Over the course of the week, you will find a real opportunity to transform your relationship to yourself; your body, your life and your relationship with the divine. Nobody's life is ever quite the same after retreat. “No one breaks down why we suﬀer and how to transform our pain more articulately than Kiran.” —L.E. Kiran Trace is an internationally-recognized human development expert. She died of massive spontaneous awakening into her true nature. Eight years later, at the encouragement of Moni Vangolen, Thomas Stubbs, Adyashanti, and others, she began to talk and teach. Because she spontaneously awoke, with no prior spiritual background, she is known for her “fresh” take on spirituality. Are you ready to experience true freedom? “Wow! More perfection. Kiran blew my mind every few minutes. I could never put it all into words, so I won't bother but holy mother do I love that woman and all she brings. So powerful, tender and real. “THANK YOU. Deep, gratitude for creating such a beautiful container for us all to expand within…” –J.D. Join us at Mount Madonna Retreat Center, overlooking Monterey Bay in California. 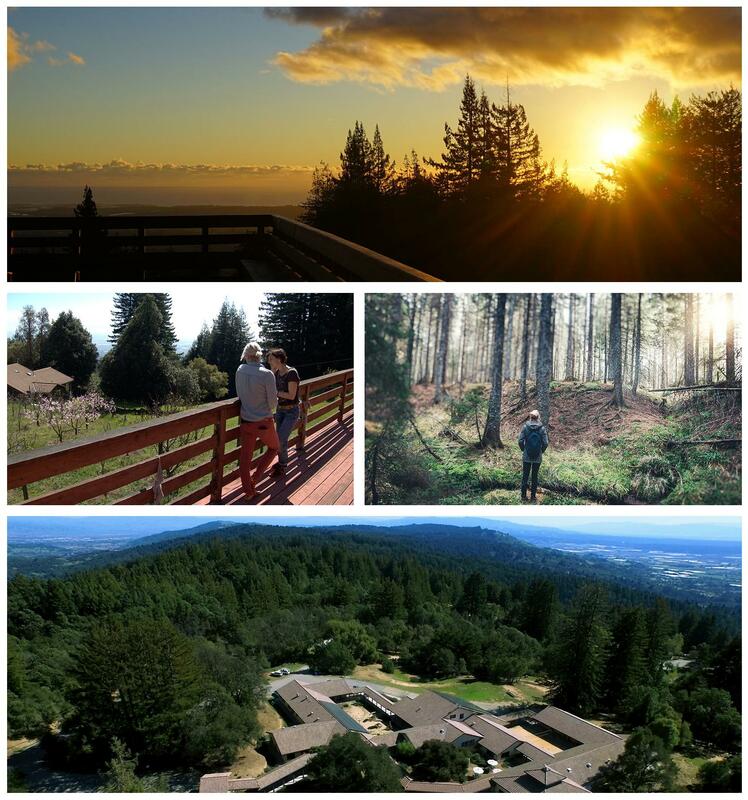 Redwood groves, hiking trails, and meadows surround you in the 355-acre retreat center. Nearest airport: SJC (San Jose) or SFO (San Francisco). Food is a big part of life on retreat. 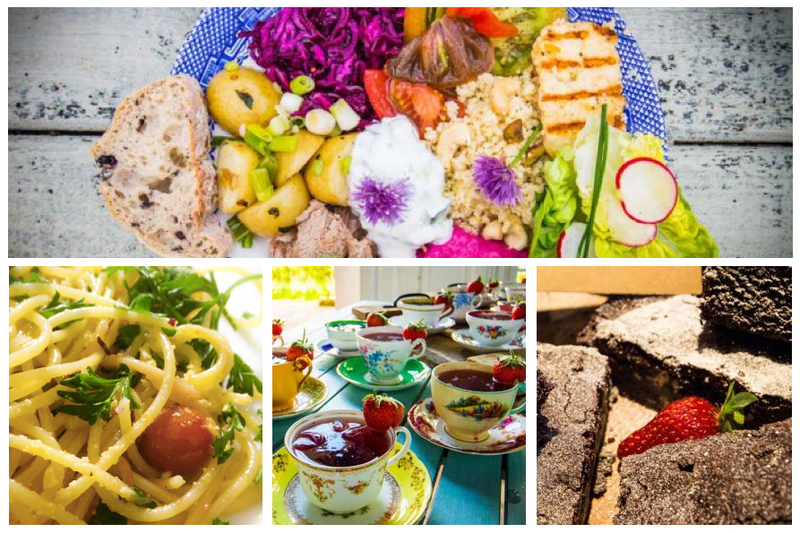 Retreat includes three full and nourishing vegetarian meals per day, with gluten-free and dairy-free options available upon request. Food is organic and ethically sourced; local and seasonal. BUT THE NUMBER OF SPACES ARE LIMITED. “Satsang was a wonder to behold. I was completely new to the concept of Satsang... I had to look up the word when I received the schedule. This fact is actually a testament to the remarkable way that Kiran has in addressing subjects in a manner that benefits both the "spiritual novice" as well as the experienced "seeker." I often felt as if she were addressing me directly in her dialogs, and so did my retreat mates. Beautiful. She also guided us in direct experience exercises that were nothing short of instant evolution – we leveled up repeatedly: Realizing oneness. Pulsing in love.” —L.K. “Yoga with Kevin was sublime. His calm demeanor and loving way of instruction infused ease into each session. He strayed from the schools of rigid posturing and over-exertion by reminding us that our bodies knew what they needed and could move themselves. He also initiated the yoga sessions from silence, providing us with a practical skill: taking the meditation off of the mat and into motion. Thank you Kevin! !” —L.K.